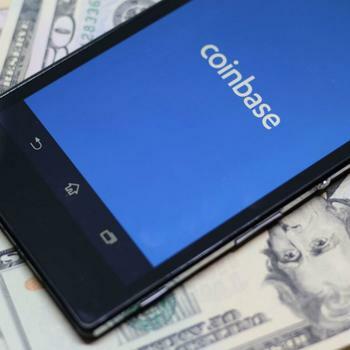 Digital currency exchange Coinbase announced the acquisition of securities dealer Keystone Capital Corp., alternative investment platform Venovate Marketplace, Inc., and financial planning firm Digital Wealth on Thursday. In making those moves, Coinbase set itself up to become a federally-regulated broker-dealer. If given the green light by the SEC, it will be the first cryptocurrency company approved to offer blockchain-based securities. "Ultimately, we can envision a world where we may even work with regulators to tokenize existing types of securities, bringing to this space the benefits of cryptocurrency-based markets — like 24/7 trading, real-time settlement, and chain-of-title," wrote Asiff Hirji, President and COO of Coinbase. "We believe this will democratize access to capital markets for companies and investors alike, lowering costs for all participants and bringing additional transparency and inclusion to the ecosystem." As far back as 2015, Coinbase has done its best to stay on the straight and narrow of the cryptocurrency path. Over the course of the last three years, the firm has benefitted from the support of digital currency investors in comments to the SEC, gained significant volume along the way, and is now considered the highest-volume cryptocurrency exchange in the United States. Keeping on the good side of the SEC and the perception of crypto investors had its challenges, however. Earlier this year, Coinbase fell prey to some technical glitches, but it was quick to respond to everyone’s satisfaction. Fresh on the heels of the SEC’s appointment of a cryptocurrency czar and Congress’ seriousness about legitimizing digital currency, Coinbase’s announcement may be the all-clear signal digital currency proponents were looking for. The crypto market is maturing quickly. Over a hundred crypto-focused hedge funds have been created in the last few months, and there’s now more than 800 mainstream and alternative cryptocurrencies for investors to consider. As more experienced brokers and traders enter the space, Coinbase will have its hands full; but being the first platform in certainly has its advantages. Coinbase certainly has the ways and means to put its money where its mouth is. In 2017, the six-year old company booked $1 billion in revenue and recently valued itself at close to $8 billion when it tendered an offer in a recent acquisition deal.